Visions of Jesus Christ.com - Dorothy Kerin - Stigmatist. Above image is of Dorothy Kerin praying over people. Found on [this] video. Following excerpt from [SpiritDaily.com]. Woman who 'died' returned with stigmata. It seems there's a woman named Dorothy Kerin who grants us a bit of a rarity. She had a near-death experience way back in 1912 -- memorable, most importantly, for what happened afterward. First, the story: Born in South East London, Dorothy suffered long years of tubercular meningitis and peritonitis. In 1912 she spent two weeks in a deep coma. On February 18 of the aforementioned year, the doctor announced that she would not survive the night. Much to this medic's surprise, however, Dorothy suddenly sat up, declaring that she was well. Subsequent tests revealed no more lesions nor other symptoms associated with her ailments. This according to a book called Near Death Experiences: True stories of Those Who Went to Heaven, by Tessy Rawlins. Overnight, Dorothy became a celebrity. It was inexplicable. It would be inexplicable in our day also. "Dorothy described that during the two weeks prior to her healing, she received a vision of the Lord and angels," states the book, quoting her as saying, "For me it was a time of indescribable joy and bliss, in a place and environment of exquisite harmony. "I seemed to drift into space. I was no longer conscious of my body, but my soul was overflowing with love and joy, and a transcendent feeling of supreme happiness, impossible to describe in ordinary language. "I passed on, and as I went, the way grew brighter and brighter, until I saw in front of me a wonderful altar, formed by angels. There were six in the back, and in the front one more beautiful than the rest holding a chalice, which he brought to me and from which he gave me to drink. Then they disappeared, and as they went, they seemed to be chanting words which I could not understand." Dorothy passed on again and saw robed figures coming from every direction. It seemed like she was going back and forth between the "here" and the hereafter. "No words of mine can exaggerate the exquisite beauty of the scene," she recalled; their movements made a lovely music. After passing from this life, allegedly, for a third time, a voice told her, "Dorothy, you are not coming yet." Then a great light surrounded her and an angel took her hand, saying, "Dorothy, your sufferings are over and you can walk." She was healed. Her mission henceforth: "to heal the sick, and bring comfort." Later she studied theology at St. Mark's Church in Bush Hill Park, UK. More interestingly, she received the marks of Jesus -- stigmata -- on her earthly body. And remarkable also: Dorothy was Anglican, the first on record to have those wounds. In 1929 she opened her first "Home of Healing" in a small house and dedicated her life to trying to heal and comfort those who came to her. Following excerpt from [here]. Dorothy Kerin (1889-1963) She is believed to be the first Anglican to have ever experienced the stigmata. Her mystical experiences began, like those of Therese Neumann, with a period in which she was deaf, blind and semi-conscious. At her bedside at her home in Heme Hill, London, her doctor stated that she would die before morning, but all were soon amazed when she confounded all predictions and raised herself, stood up and declared that she was healed. As she lay dying, Dorothy stated that: “Someone called me by name, three times distinctly", and she replied, 'Yes I am listening, who is it?' And she heard a male voice who said: 'Listen! ', and she felt two warm hands take hold of hers. She then reported that a beautiful Light then came right over the bed. In the midst of the Light stood the Angel of the Lord, who, still holding her hands in his and lifting them up to her eyes and touching them, said, 'Dorothy, your sufferings are over; Get up and walk.' Three years after this extraordinary event on December 8th she allegedly received the stigmata in her hands, and on the next day, the wound in her side, and on the 3rd day, the wounds in her feet. 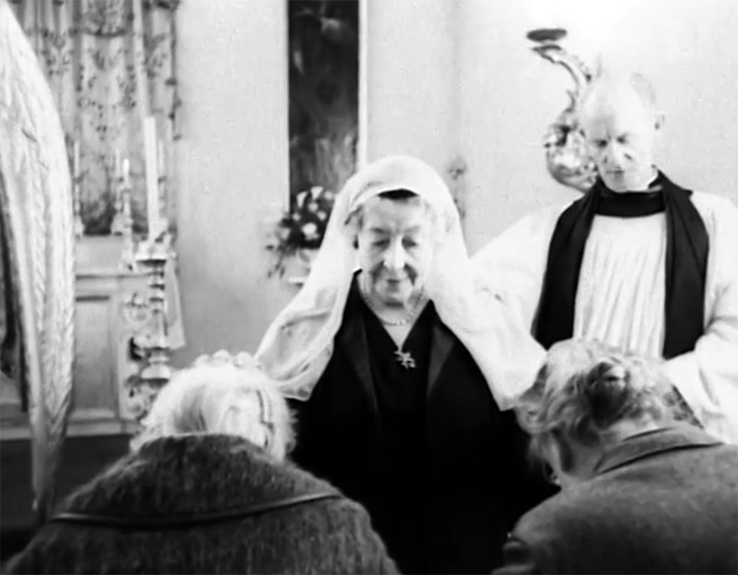 Not long afterwards she began a healing ministry which she continued until her death in 1963.